Congratulations on becoming a District Manager! District Manager is the most important step in Arbonne. If you can reach DM and teach others to do the same, you can become a National Vice President! But this is no time to take a break! Take a quick breath and give yourself a pat on the back, but you don't want to lose all the momentum that you just built! Set your sites on Area Manager right away and map a plan with your upline to get into qualification for AM as soon as possible! How Do I become an Area Manager? OR $30,000 over three months. The key is the $2500 building block. To reach District Manager, you did at least $2500 over 1, 2, or 3 months. Your goal is to continue to do a minimum of $2500 per month while teaching other people to do the same! As you talk about the business, you will find people who will join you along the way. Remember that their volume counts too! So think of 4 people who you would like to join you in your business. 4 people (including yourself) doing $2500 per month = $10,000. OR two people (including yourself) doing $5000 per month each = $10,000. Here are a few examples of how you can get to Area Manager. Pick up some REWARDS along the way! Take a breath, but not a break because DM is a nice place to visit, but not to stay! Make plans to move to Area Manager. The key will be finding ONE or TWO Consultants to join your team! 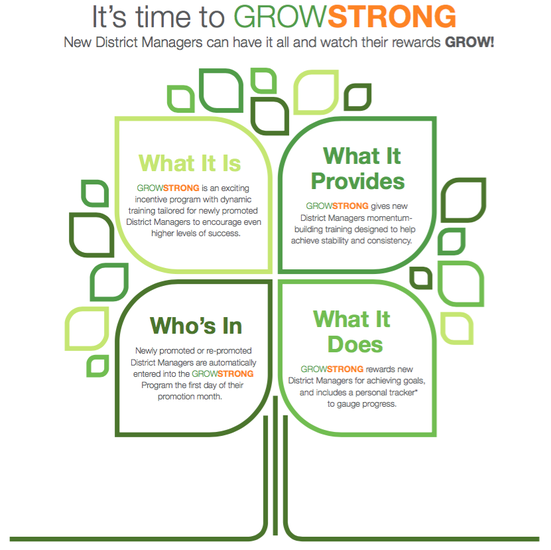 Now that you know what it takes to become a District Manager, your job is to duplicate. Teach others to do what you just did and help them to find people who want to do the same. 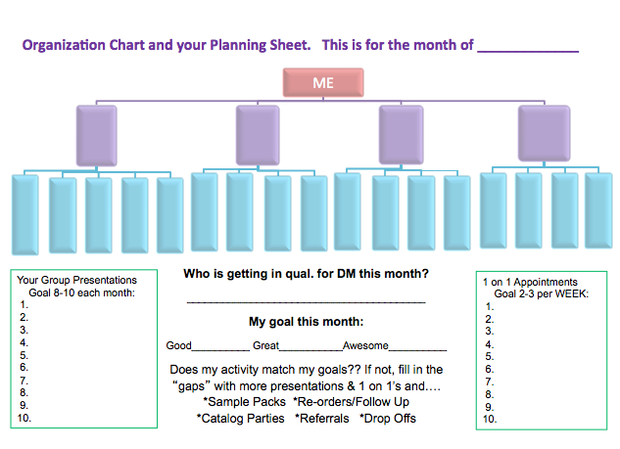 Activity Goal: Become a District Manager making machine! Find out which of your Consultants wants to move and help them to finish DM quickly. This will help you to promote to Area Manager! And…..If you promote a new DM every month of your business, you’ll be an NVP in no time! 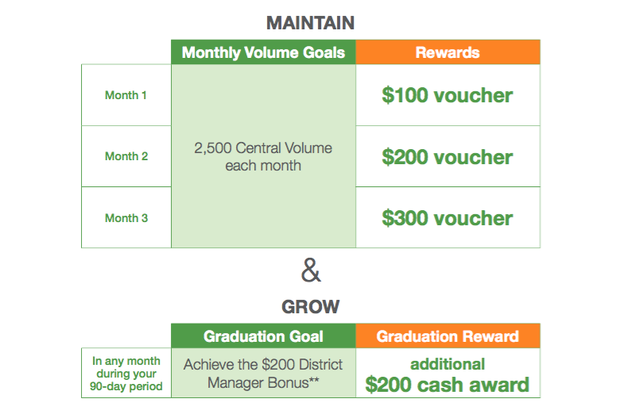 Volume Goal: $5,000 + 5 new $150 Preferred Clients, so you can earn your $200 District Manager bonus! Then, let’s work for $10,000 next. Personal Goal: Read 30 minutes every day. It will keep your “head on straight” to help manage the ups and downs of this business. Organization Goal: Write down your Arbonne To-Do list every night before you go to bed. Write 10 things you want to accomplish. A little Arbonne a day will go a long way! Stick close to your VP. Follow everything that your VP tells you to do. Be the number ONE consultant on your team! No one follows a parked car! You must follow the system – if you don’t then your team won’t either! Are you following the system, or trying to reinvent the wheel? You are not a “Manager” – you are a LEADER! One of the biggest mistakes a DM makes is sitting back and “managing.” As a DM, AM, RVP, or NVP we need to continually find new people & work our business just like we did when we started. It’s like throwing spaghetti against a wall – some will stick, some won’t. So keep working until you are an ENVP with many other ENVPs under you! You must spend time becoming a leader that people want to follow and will respect. You must develop yourself. The more you do, the faster you will go! Spend daily self-development time every single day (30 minutes). This will help you to discipline your disappointments. Attend all events within driving distance – IMPACT trainings, Car presentations, Discover Arbonne presentations, and of course GTC is a must! Adopt an attitude of abundance. Scarcity thinking will sabotage your business, but a servant’s heart will bring rewards. Be teachable. Ask your upline for feedback and coaching. Communicate with your team on a regular basis. Praise loudly, criticize softly and remember positives go down (to your Successline and team), Negatives go up (to your Upline). Never let anything negative touch anyone below you. Know when to let go and move on! If people don’t want this, don’t try to convince them. We want to bring along the people that DO want what we have! Realize that you set the tone – the speed of the leader is the speed of the pack! If you don't work, neither will your team. If you don't aim for the trip, neither will they. Always be willing to ask yourself “Am I in a blaming mode, justifying mode, or a building mode?” You can’t do any of them at the same time. Don’t wait for your people to make it happen for you – YOU make it happen! Learn that actions speak louder than words. The Consultants who are the most needy are often the ones who are doing the least. Watch your stats – and work with those who are working! Numbers don’t lie. Manage attrition: 1/3 are joining, 1/3 are leaving, and 1/3 are growing - this is NORMAL. People only complain about something they can change and chose not to. Remember that when listening to your team AND to your own complaints!